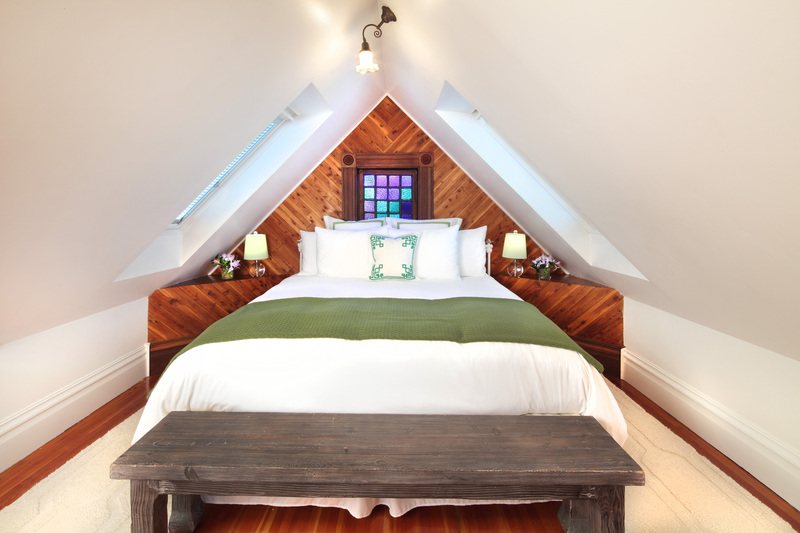 One of the largest bedrooms on the property, the upstairs, Chardonnay Room offers an abundance of space for visitors to our 1900 Queen Anne Victorian home. The elegant room is sectioned between a luxurious master king and a separate lounge area, equipped with sitting chairs, dresser, flat screen TV and DVD player. 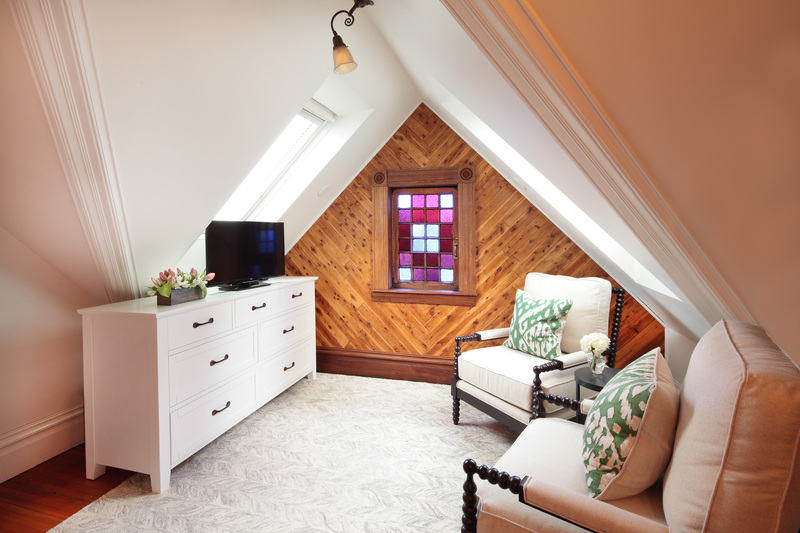 Both rooms feature vaulted ceilings and stained glass, accenting the true artistic nature of the space. 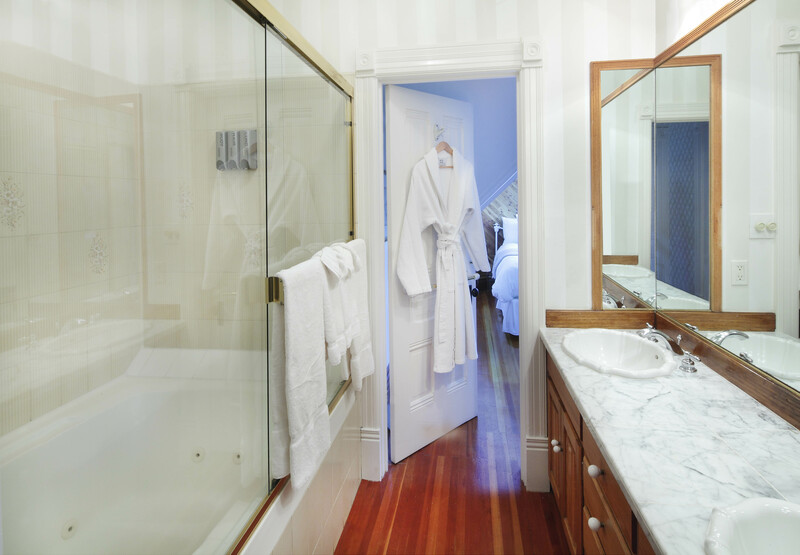 The large, walk through bath area is separate from the restroom and contains a combination shower and tub, with double vanity sinks and plenty of counter and drawer space for a full assortment of cosmetic goods.